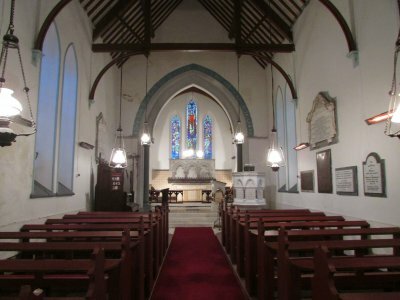 A service is held in St Fintan’s Church, Drumcar every second Sunday at 4.00 pm. 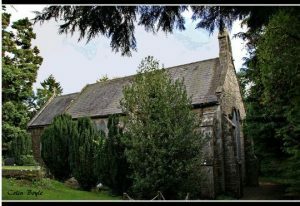 Saint Fintan’s church, located in the village of Drumcar, was built in 1845 within the grounds of an earlier ruined church. This would indicate that the site has been in continuous religious use for centuries. The church was commissioned by John McClintock and is based on John Henry Newman’s church at Littlemore near Oxford. The varied construction of the stone walling of the chancel and nave suggests that the chancel was a later addition which was designed by Slater and Carpenter in 1868. They also designed the McClintock family mausoleum in the graveyard.